In the world of toy designs, some rare creations are so enriched with the superfabulousness that comes from pure genius that it’s hard to believe they didn’t always exist. CrazyForts is one of those designs. Like oversized TinkerToys, these safe and sturdy frames can be put together in almost infinite variations. And you get to keep the cushions on the sofa where they belong! 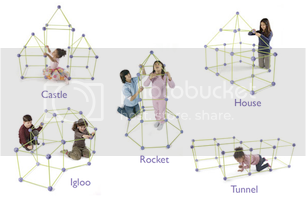 To create the world’s most customizable fort, just pop the frame together in the configuration of your choice and throw a sheet over the skeleton. It’s up to the kids if they want to use the Star Wars ones or the flanellette cowboys, though. You don’t want to interfere with creative genius. I have officially fallen in love with the Wii. We played it constantly when we were visiting with family this summer, and will be getting one for ourselves in short order. The graphics are outstanding, the games are fabulous, and some of them require quite a bit of movement. And, can I brag here that I KO’d the Scarecrow in boxing? I am the champion! Actually, I am afraid that I will find myself wanting to play it just as often as the Munchkin. But, what games to get? I did some research, and these are some of the best games for the whole family, rated “Everyone” by the ESRB, which is the rating system of the gaming world. 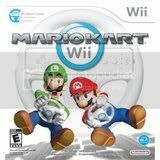 Mario Kart Wii with Wii Wheel You don’t have to get the wheel, but it sure makes it a lot more fun. Mario Kart is a rollicking good time with fantastical race tracks. And lots of them! 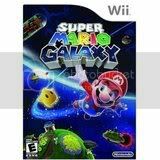 Super Mario Galaxy Follow Mario into space and travel with him across planets and galaxies as he tries to save Princess Peach from the evil Bowser! 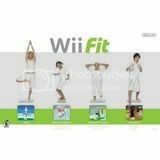 Wii Fit How could I not include the talk of the town? The skiing and snowboarding games are supposed to be the most enjoyable. 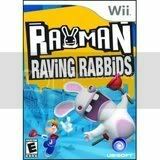 Rayman Raving Rabbids Get the most out of the innovative wii-mote as you assist Rayman in the gladiator battles that his rabbit masters are forcing him to play. Sound a little crazy? Well, it’s definitely crazy fun! 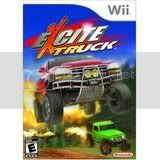 Excite Truck More of an arcade game than a real “racing” game, you go off-roading and jumping obstacles. You’re still going fast and there are just as many thrills and spills. 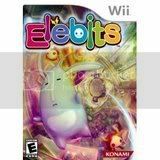 Elebits You are a spoiled child whose parents need your help! Go around with your raygun and collect Elebits so that your town can regain its electrical power! Destructive, but non-violent fun. 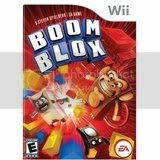 Boom Blox A collaboration between Steven Spielberg and gaming giant Electronic Arts, this promises to never get old with over 300 levels! Use objects like bowling balls and fire hoses to clear your path through brain-twisting challenges. 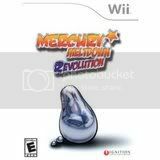 Mercury Meltdown: Revolution Guide your “blob” through mazes and obstacle courses to complete levels. A great game for the budget-minded, it’s one of the cheapest, yet is just as enjoyable as the blockbusters. 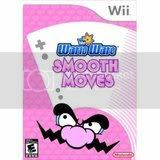 WarioWare: Smooth Moves A wonderful multi-player game, you will find it hard to play because you are too busy laughing to try and figure out what you are supposed to do! 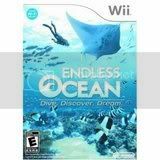 Endless Ocean: Dive, Discover, Dream A video game that could almost be described as relaxing! Become a SCUBA diver and explore the ocean and everything in it. 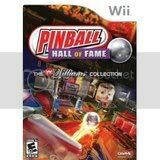 Pinball Hall of Fame: The Williams Collection Feel sorry for kids who have never played pinball because you can’t find the tables anymore? This is the closest you are going to get to the real thing without actually having the real thing!